Alberta's carbon tax is nothing more than an expensive piece of political theatre, says Jason Kenney, leader of the Official Opposition United Conservative Party. "They told us that if we just sucked it up and consumers paid more, and we made seniors turn down the heat at home when it's 30 below, that somehow pipeline opponents would become pipeline supporters," the Kenney said of the NDP government on Tuesday. Premier Rachel Notley touted the carbon tax as a way to maintain industry's "social licence" but the carbon tax has failed to garner approval for an Alberta pipeline or foster any kind of political compliance, Kenney said. Instead, attempts to gain new market access for Alberta oil have been quashed on all fronts, he said. "Justin Trudeau vetoed Northern Gateway after the NDP carbon tax came in. 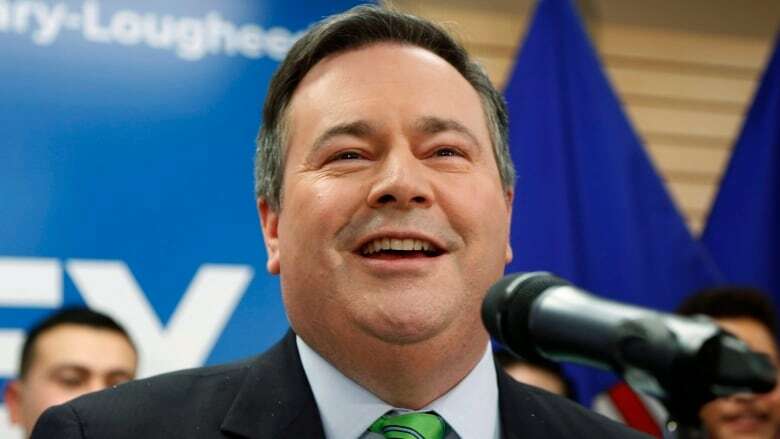 He effectively killed Energy East through the National Energy Board," Kenney said in an interview with CBC Radio's Edmonton AM. "[Former U.S. president] Barack Obama vetoed the Keystone XL after endorsing the NDP carbon tax, and now the New Democrats from British Columbia are doing everything they can to kill the Trans Mountain pipeline. "So my question is, why exactly are we punishing Alberta consumers?" Kenney has been staunchly opposed to the carbon tax since the NDP first announced plans for it. He made scrapping the carbon tax the centrepiece of his successful campaign for a seat in Calgary-Lougheed late last year, and remains committed to repealing it if he becomes Alberta premier in 2019. The government's climate change strategy is not winning Alberta any political capital in the fight for new export routes, he said. "It hasn't moved a single government from 'no' to 'yes' on pipelines," Kenney said. "That's not what the carbon tax is doing … It's just very expensive political theatre for Albertans." Alberta's carbon tax came into effect Jan. 1, 2017, with carbon priced at $20 per tonne of emissions. This January it increased 50 per cent to $30 per tonne. The carbon tax on a litre of gasoline is now 6.73 cents per litre, and 8.03 cents per litre on diesel fuel. On natural gas, the most common fuel used for home heating in Alberta, the tax is now $1.517 per gigajoule. On propane the tax is now 4.62 cents per litre. Alberta expects the new regulations to cut emissions by 20 million tonnes by 2020, and 50 million tonnes by 2030, equivalent to the emissions from about 11.5 million cars. Meantime, the federal government is moving ahead with its plan to impose a price on carbon across the country in provinces and territories that haven't already come up with their own systems. Federal carbon pricing legislation will be introduced sometime in 2018. Kenney has said that he would be willing to challenge Ottawa in court, if the federal government tries to impose a federal price on Alberta. Kenney's first question period with Notley saw him question the premier on the carbon tax and her response to the B.C.-Alberta pipeline dispute. Political scientist Duane Bratt said the two questions were "very predictable," but said Kenney approached the carbon tax question in a unique way by holding up the 2015 NDP election platform, which made no mention of a carbon tax. "In both of those situations, Notley really didn't answer the question," Bratt told CBC Calgary's Rob Brown. With the Alberta Party's Rick Fraser questioning the premier on why non-profit organizations are taxed on carbon, Bratt said Notley was "being hit on all sides." But Bratt said the first round was a draw in what many predict will be a "heavyweight boxing match" between Notley and Kenney. "They were just feeling each other out, no blows were landed," he said.